When you file a claim for compensation following a truck accident caused by the trucker and trucking company, you must prove their liability in causing the wreck and your injuries. You do this through the use of evidence that shows their negligence and the seriousness of your injuries. Witness statements, pictures, the police report, and expert testimony are a few of the types of evidence that can be helpful in any vehicle accident. 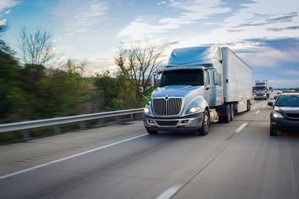 However, truck accident claims are different from those involving passenger vehicles due to the size and weight of the truck and the many federal regulations that govern truckers and trucking companies. Because of this, you may need additional evidence to prove your right to compensation in a truck crash. The truck’s black box can be an important piece of evidence that can strengthen your claim—and result in you receiving more in settlement. What Is the Truck’s Black Box? A black box is also known as the event data recorder (EDR) and has been installed in most trucks since the 1990s. Surprisingly, these devices were installed in trucks for an entirely different purpose by truck manufacturers—to stop fraudulent warranty claims by trucking companies. The black box is comprised of sensors and other components that are integrated with the truck’s engine. It collects data about the truck’s operation—which can be helpful in showing what happened at the time of your crash. What Data Does the EDR Collect? Speed. The EDR will record the truck’s average speed over the course of the last 30 days and information about how fast the truck was traveling at specific times. This could help you show that the trucker was driving too fast at the time of your collision. Hours driven. The black box records information regarding the hours that the truck is moving—which can help establish the true number of hours the trucker drove before taking a break. You could use this evidence to show that truck driver fatigue and violation of federal hours of service regulations were the cause of your wreck. Performance and maintenance. You can learn a wealth of information about the truck’s performance and whether it was properly maintained from the truck’s black box. This can include the engine’s RPM, brake applications, hard stops, seat belt usage, and more. Accident information. Your truck accident will be considered an event to be recorded by the truck’s black box. It will provide you with the truck’s speed at the time of your crash, when the trucker applied the brakes, and the force of the impact during your collision. An accident reconstruction expert could use this information with other evidence to recreate the cause of your wreck. Emails. The black box will store emails between the trucker and trucking company. This can provide you with communications regarding truck maintenance, truck driver fatigue or violation of hours of service rules, and statements by the trucker to the company soon after your accident. The black box data could be recorded over after 30 days or the trucking company may destroy it following the accident. Because of this, you need to contact an experienced truck accident attorney as soon as possible after your wreck. He can send the trucking company a spoliation letter advising them of your claim and ordering them not to destroy any evidence. If your attorney believes the trucking company will not cooperate with this request, he can file a lawsuit and ask the judge to issue an immediate order prohibiting the trucking company from destroying this evidence. Was your truck accident more than 30 days ago? This does not necessarily mean the black box data has been destroyed or taped over. The trucking company may have downloaded the data before this occurred. At Chris Hudson & Associates, our experienced truck accident attorneys have years of experience vigorously investigating the causes our clients’ truck wrecks and fighting for the compensation that our clients deserved. To learn about your legal options and how we can help, contact us online or call us directly at 706.863.6600 to schedule a free consultation.